First Impressions: Nokia Lumia 800 | iStoryang HaaayTek! 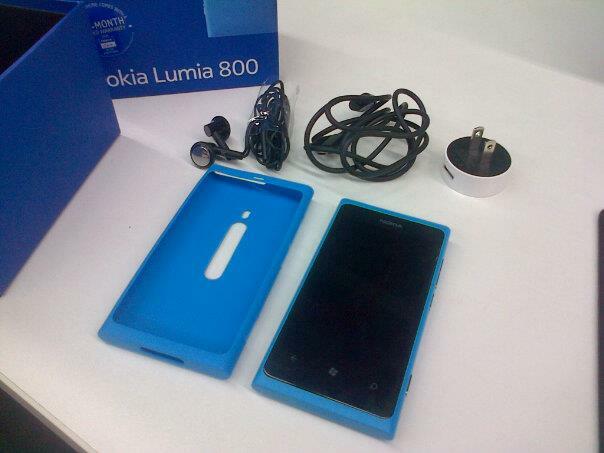 I just got hold of the Nokia Lumia 800, one of the devices under the Lumia series using the Windows Mango 7.5 operating system. This is my first time to use fully a Lumia after some short occasions of just touch-and-see moments. The unit will be my subject of another gadget review for the next two weeks. Initially, i have already some good impressions on the Lumia series–It’s fast and intuitive. Even if the CPU is still a single-core but it works swiftly and the display screen responds smoothly. What attracted me most on the Lumia phones are the tile menu and the way the contacts and their social networking profiles are merged. Catch my review of the Lumia 800 in two weeks. Disclosure: Nokia Philippines provided the unit for my review.